-Rachel Simpson, Texas Evening MBA Class of 2013 and Manager, Human Capital Consulting at Deloitte. Go to company websites and talk to your network within different industries to gauge their requirements and preferences. 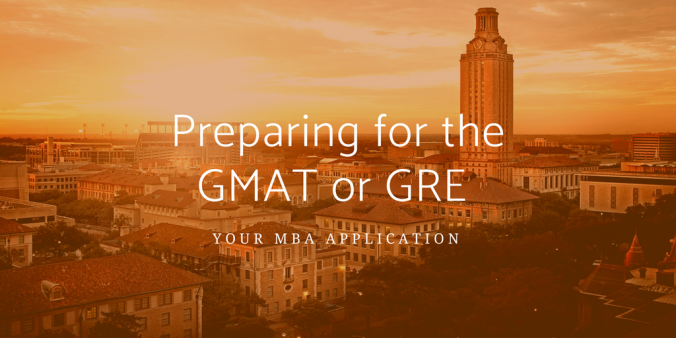 Puja Ghelani, Texas MBA at DFW Class of 2018, said that reviewing requirements online solidified that she would take the GMAT, and gave her a target score. She topped that number and landed a job upon graduation with KPMG. “Coming from a non-traditional background, my GMAT and GPA acted almost as equalizers, to prove that I was capable and could quickly be trained to do the job,” Puja said. Regardless of which test you take, consider it part of the overall MBA investment. Challenging yourself in the testing environment will make you better prepared for what comes along the way during and after the program. Stay tuned for more in this series soon.